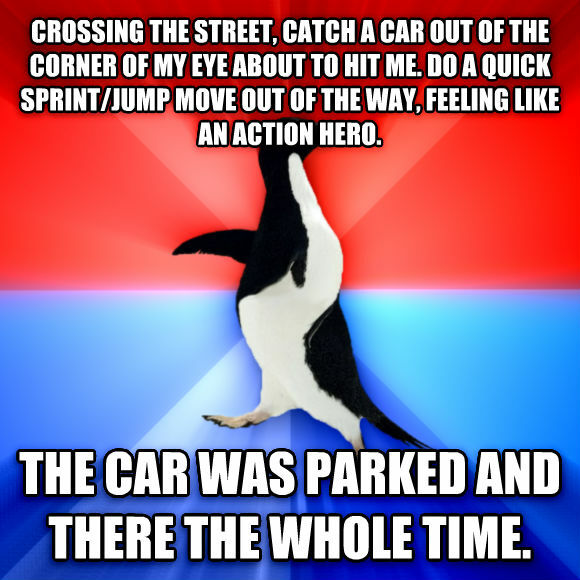 crossing the street, catch a car out of the corner of my eye about to hit me. do a quick sprint/jump move out of the way, feeling like an action hero. the car was parked and there the whole time.